ESCAPE FROM THE ORDINARY! Tranquility abounds in this carefree home surrounded by nature. Windows accent the natural light that flows thru the home. 2 wood burning fireplaces, tile flooring and large area to sit at the bar in the kitchen and catch up on what's happening. Just outside your door is the relaxing sound of the flowing creek where abundant wildlife strolls by and did we mention 10+ acres with additional 3 car garage, shop building and a covered RV storage area. LIONS AND TIGERS AND BEARS…OH MY!!! Ok, maybe not the lions and tigers but definitely the bears, deer, turkeys and plenty of other little creatures roaming this gated, 94 acres in the picturesque Sautee Valley Area. High on a hilltop, not far from Helen, GA you can be secluded on top of the world and awed by the spectacular views. On big draw for these wildlife friends is the mountain lake, providing fresh fish for dinnr. Additional 34 acres with home available. IDEAL COUNTRY SETTING on 2 acres. Great spacious ranch style home w/split bedroom plan. Good size rooms, appealing covered back deck looking out to mature woods and creek. Partially fenced yard 3BRs on main w/finished rooms and workshop on terrace level. Deluxe Mountain Living with easy access to Tallulah Falls and Gainesville 4BR/3BA ranch and offering a finished bonus room as a plus. Move-in ready with comfortable stone front porch and charming screen porch with seasonal mountain views. Built-ins by fireplace, beautiful eat-in kitchen, separate dining, breakfast bar, custom blinds and double ovens. Finished room on terrace level with zoned H/A and plumbed for a kitchen. Good workshop area and partial house generator. Optional amenities include clubhouse, swimming and tennis. Built in 2014! SPECTACULAR CRAFTSMAN STYLE HOME! This incredible 3BR, 2.5BA home sits on a small mountain with never ending views. The craftsmanship on the home is unmatched. Exposed beams, hardwood floors, granite counters, 4 car garage. Awesome widows peak, 20.6 acres. Complete living quarters in the additional 4 car garage/workshop. Fenced pasture only adds to this beautiful package. TRANQUIL WOODS! Is the backdrop to this delightful home in The Orchard, a gated golf community. Bright and spacious main level with loads of sunlight in the great room sharing the living and kitchen area. Separate dining for those special occasions. Master on the main overlooking the large deck and woods. Library/office finishes this 1st level. Upstairs offers 2BRs, bath and finished bonus room. Better take a look at the partially finished terrace level with room to expand. Especially for you! THE FRONT DOOR TO YOUR FUTURE!! Attractively planned, this in town cottage is just perfect for you. 3BR, 2.5BA, with Master on main. Granite counter tops, fireplace, open floor plan, crown molding, custom shelving and wood floors. Walk to grocery stores or take an evening stroll to one of the fine restaurants in Clarkesville. You cannot lost. Under Construction. Time to still pick your colors and make a few changes. MAGNIFICENT COUNTRY CLUB HOME!! In the prestigious Orchard Golf community. Love a spectacular view? Try looking out at the custom in-ground pool, where you can vacation in your own back yard, or extend your gaze across the 3rd fairway, either way, you feel right at home. 4/5BRS, 5.2BA, grand open living area, library/office with built-ins and extensive molding, keeping room, w/fireplace for those quick bites and midnight snacks. Meal prep will be a breeze in the gourmet kitchen. Finished terrace level offers built-in bar area, relaxing den/rec room and oversized finished room/exercise room with bath. Park the golf cart in the additional terrace level garage area. Brick & Hardi plank and stone exterior. BEST OF THE BEST!! Take advantage of this great opportunity to live within walking distance to downtown Clarkesville. This verifiable gem is not your ordinary design. Custom Built 3BR, 3BA, with great room, open, spacious kitchen & breakfast area, master on main with 2 large closets, additional bedroom on main with split bedroom option., office, deluxe finished bonus room up with bath. Hot water on demand and all the extras. Did we mention the full unfinished basement with tall ceilings, just perfect for that workshop you always wanted? Walk to your favorite restaurant, church or shopping. VERY NICE!! GARDNER'S DELIGHT! Easy laying lot with 3BR/2.5BA Brick Home, fireplace, built-ins, eat-in breakfast area, large island offering plenty of room to express yourself in the comfortable kitchen area. Expect to be pampered in the lovely sun room boasting plantation shutters. Wood flooring and split bedroom plan. Need more space? Finish out the bonus room over the garage. Put your name on the mail box in confidence with this one! SUPERIOR CONSTRUCTION! Beautifully crafted custom home on corner lot. Top quality high-end flooring. Granite counters and 5 Star Chef's oven, warming rack and warming drawer in open and spacious kitchen. Master bedroom with sunroom and large walk-in closet with built-in drawers and shelving on main level. Small bedroom and bath also on main. Upstairs has extra large bedroom and bath. Lovely finished daylight basement with living room, bedroom, large bathroom and huge storage room. Landscaped with white picket fenced backyard. Deck overlooks picturesque pond and tennis courts. Great neighborhood for walking. 1890's FARM HOUSE! Offering one step in the city and one back in time. 3-4BRs, 3BAs, 5 FPs, parlor, office, keeping room and mostly original heart pine flooring makes this an easy place to come home to. Just footsteps away from downtown Clarkesville, welcoming you to enjoy the restaurants, local community theatre, churches and movies in the park. Covered porches wrap you around to the in-ground pool and entertainment area. One year home warranty provided. A must see!! PAMPERED PERFECTION!! Loaded with extras, this 4BR, 3.2BA home will be a pleasant surprise. Formal dining, eat in kitchen w/custom cabinets, granite c-tops, rock/stone fireplace (2), 10' + ceilings w/exposed beams & unfinished bonus room over garage stubbed for bath & HVAC. As sunset brings the day to an end, relax on the enclosed screen porch w/tile flooring made just for you! Designated space on terrace level for home theater, small kitchenette, 12 ft ceilings, finished room and bath, and den to spread out in. Move in ready with 3 car garage and hardi-plank siding. YOU WILL FEEL RIGHT AT HOME! This super cute and clean 3BR/3BA home with partially finished terrace level with bath, granite counter tops in the eat-in kitchen and nice sunny view from the comfy dining room. Wood floors accent the living area spilling into the over sized master with sitting area completing the picture. Great yard for kids or garden. Neighorhood offers lake, tennis and playground. Refreshing country Estate on 17+ acres. Generous space in this 3BR, 2.5BA with Formal DR, eat-in kitchen boasting island, granite c-tops & plenty of cabinets. Charming living room, large bonus area with robins & roses just outside the over-sized glass windows. Apt living possible above the extra large garage with plumbing acces for bath & kitchen. Did we mention approx 10 acres of pasture is cross fenced & has 4 board wood fence on the road frontage? (water at connecting gates) To complete the picture is the infamous red barn with tack and feed room, hay storage & room for 4-5 horse stalls. Whole house generator & nice workshop. Whew! Come see the rest for yourself. DON'T CRAMP YOUR STYLE! Spread out in this Lake Front Home on a corner lot in The Orchard Golf Community, an 18 hole championship gated Golf Course. 3BR, 2.5BA on main. Plenty of room for family and friends on the lower level, offering full bath, 3 finished rooms, storage area and full kitchen with appliances, making excellent entertainment options in the Great room that opens up to the backyard with full view of the lake and mountains. CHATTAHOOCHEE RIVER FRONT COTTAGE! In Historic Helen, GA, restful and private resort just waiting for you. Sprawl out on your front porch overlooking noisy shoals from the river. 2BR/2BA just far enough out of town so you can relax and enjoy the sounds of nature at your front door. Fireplace, wood floors, plantation shutters, metal roof, bordered by National Forest on 3 sides. Very hard to find such a spectacular setting! This southern Oldie flaunting timbers of yesteryear circa 1895, is definitely an heir to history! As you relax on the 1700 ft. of covered porches reflecting on the days gone by, you may never go inside where the 4BRS, and 3BAS await. Awesome back parlor lends itself to private office. Also offering formal dining, butler's pantry, 2 fireplaces, den and plenty of other nooks and crannies to explore. Original carriage house with hay storage still intact. If you love history this is the one for you. EXCELLENT RETREAT!! For the whole family! Tired of covenants and want your own privacy? Check out this 4BR, 3.5BA home with guest quarters over the garage. No need to join the swim club. You have your own in ground pool in the back with complete pool house. Offering bath & small kitchenette. Nice master on main. Wood flooring, dining, breakfast area with Island, fireplace & 4 sided brick construction. All the elbow room you need! INSIDE A GATED COMMUNITY BUT OUT OF THIS WORLD SETTING! Private, yet overlooking the golf course with a fabulous noisy waterfall lulling you to sleep at night. This one of a kind Craftsman Style Home with coiffured ceiling offers 2 bedrooms on the main with built-ins by the fireplace, formal dining area and eat-ins by the fireplace, formal dining area and eat-in kitchen. Terrace level has additional BR, BA, DEN and finished rooms. Plenty of storage and relaxing covered decks on both levels completing the whole package. ESCAPE TO THE MOUNTAIN! No noise and bustle of the city in this picturesque mountain top home. Peace and privacy are yours as you gaze out across the skyline shaded with outstanding mountain views. 4BRS, 5.5BA offering plenty of room for family and friends. Exposed wood interior, wood burning stove, formal dining and eat-in kitchen. Loft & office upstairs. Delightful covered decking steals the show with more opportunities to capitalize on the views. Partially unfinished terrace level lends ample room for a workshop. 2+ acres of incredible mountain living. AUTHENTIC LOG HOME! High on a ridge with mountain views, historic Sautee-Nacoochee Valley of White County (just east of Helen). 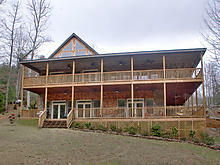 Custom built log home, 2020 sq ft of finished space on 3 levels. Sleeps 12 comfortable, 3 to 4 BR/3 full baths with custom tiling. Covered rocking chair porch on front w/rockers, wrap around deck, rear deck, screened in porch, basement garage/workshop, basement level patio, new 2016 Trane Heat Pump system, community water well, premium gas log FP, sun shades throughout (some motorized), wood floors & walls throughout, carpet in 3 bedrooms, tile floor in downsta...irs den and professionally landscaped. 16.32 ACRES OFFERING A GREAT BACKGROUND FOR LIVING!! Lush pastures, flowing creek, old barn and a cozy 2BR/1BA cottage with wood floors, granite counter tops and a wood burning stove. A rare find for sure!! Privacy in a beautiful mountain setting on 5 lovely wooded acres, leaving room to breathe. Exposed wood construction accented by wood burning insert in living room. 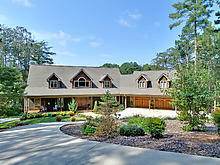 Step out to the enclosed sun room with outdoor fireplace and view of nature and the wildlife that roam thru the woods. Open, spacious kitchen with bar and keeping area with another fireplace to enjoy cozy quick bites and midnight snacks. Large master suite with split bedroom plan, finished terrace level. Invest in your happiness now! Incredible in every way. Country living at it's best!! this is a rare find in a very nice development. home features hardwood floors, beautiful stacked stone fireplace in great room plus another one in screen porch overlooking the woods. 4brs, 3 baths, 3+ acres, master and 2 more brs on main with den, br and ba on terrace level. gorgeous kitchen with granite tops and custom cabinets. very special. GATHER AROUND! Traditional Ranch on 4+ acres, snuggled at the end of a cul-de-sac. Features 3BR/3.5BA, 3 fireplaces, finished rooms on the terrace level. Built-in bookcases, keeping room off kitchen, inviting great room. Natural habitat of numerous plants and flowers and certified Indian boundary tree on property with creek bordering property line. The most selective homeowners choose The Orchard. 3BR/2BA cottage with spacious great room boasting hardwood floors and built-ins by fireplace. Try dining on the terrace or the delightful screen porch overlooking golf course. This is the best priced house in this 27/7 gated golf community, located in the foothills of the NE GA mountains. LUXURY YOU CAN AFFORD! No detail has been left out in this custom home, just minutes from Clarkesville. Spacious foyer, split bedroom plan, 9+ ceilings, open family friendly kitchen. Don't miss the built-ins by the fireplace which offers a cheerful center for everyday living. Usable easy laying yard that is partially fenced. Unfinished terrace living including a paved driveway to enter from outside if needed. Truly a home buyers opportunity in this easy flowing traditional ranach with partially finished terrace level offering plenty of room for workshop and storage. Grand foyer entrance, formal dining and spacious eat-in kitchen with bar and breakfast area. Wood flooring throughout and fireplace w/build-ins. Surrounded by trees and located in the gated Orchard Golf Community. Fabulous home at the end of a Cul-de-sac and a short distance to HWY 365, making it an easy commute to Gainesville, Cornelia or Toccoa. 4BR, 3BA, 4 sided brick. Formal dining, eat-in kitchen, 2 fireplaces, 9+ foot ceilings, oak floors, large master and partially fenced back yard. Relax on the terrace level either in the media room or other finished rooms, and includes kitchen & bath. Fiber optic to home making it a breeze to work remotely. Very special! INCREDIBLE LAKE FRONT SETTING! 4BR/4BA Orchard Golf Community Home, overlooks a lake, the 17th TEE and mountains. Gourmet kitchen w/fireplace, 2BR, 2BA and office on main level and 2BR, 2BA up. Large back deck, views and close to the club facilities. Located within the established and notable Tower Mountain area, This 4-Sided Brick ranch home has been newly renovated, 4 BR/2.5BA is a rare find with all its upgrades. The kitchen features tile floors, granite countertops, stainless steel appliances and custom cabinets. New renovations for 2015 include refinished hardwood floors throughout the house, 5 inch crown molding, LED recessed lighting throughout the house, a brand new architectural shingle roof, and an open concept living/dining area. The Master bath features a new tiled shower with dual showerheads, a double vanity with marble countertop along with beautiful, detailed trim-work. Laundry room with storage, large bedrooms all with two closets, and a beautiful back yard. LOVE A CHARMING SETTING? In the country near town. 4BR/3BA with upgraded cabinets, granite counters and wood floors. Delightful nursery/library and office. Raised garden beds in fenced back yard, partially finished terrace level with 2BR/1BA, den area and FP. Located on a short cul-de-sac road with few homes and no HOA fees. CHATTAHOOCHEE RIVERFRONT HOME! In picturesque setting surrounded by privacy in this gated community perched between Clarkesville and Helen, GA. Recently refurbished in excellent taste, offering 4BR, 3.5BA with additional finished rooms on terrace level. Totally updated cabinets, granite counters and built-ins by the stacked rock fireplace. Open the doors to the back deck and be captured by the relaxing sounds of the "HOOCH" in your own back yard. BRICK RANCH!! On over 2 private acres. Perched amidst the trees is this move-in ready & affordable home. 2 Finished master suites & additional BR and BA on main. Large terrace level w/den, game room, 1BR, 1BA and unfinished area w/workshop. Wood floors on main level with great rom, library/office, stone fireplace and open kitchen with island. Very nice. INCREDIBLE ORCHARD COTTAGE!! Totally awesome! This incredible Orchard Community Cottage has been completely remodeled and is gorgeous. 3BR/2.5BA hdwd floors, solid counters & a beautiful view of the 3rd fairway. Nothing left to imagine in this home & the kitchen is gourmet worthy. Come see for yourself. NO HEMMED IN FEELING HERE!! Tremendous curb appeal is evident in this Golden Spot overlooking the 3rd hole and 2 lakes. Brick and Stone construction with finished bonus room over the 3 car garage. Your style will not "be cramped" in the gourmet cooks kitchen with useable island, 12+ seating in formal dining, and breakfast area designed to sit and chat with the cook. Express your individuality in the dramatic living area w/10+ ft ceilings offering built-ins and delightful arched walk ways. Greet the friends and family on the veranda & relax and unwind after a long hard day of golf. Rolling countryside with quiet and peaceful setting! Hardi-plank and Brick Ranch home on 8.78 beautiful acres. Open floor plan offering fireplace with built-ins, exposed wood beams garnishing the ceilings, granite counter tops with bar, formal dining and breakfast area. Large sun room to watch the setting sun. 3 BRs, 2BAs on main w/finished terrace level completing the picture with BR/BA/Office, kitchenette and family room. Additional acres available. THIS IS GORGEOUS!! HOUSE TOO BIG AND TRYING TO SCALE DOWN? Start the rest of your life in this Traditional Ranch! 3BR's and 2.5BA's on main plus finished bonus room and bath over the garage. Gas log fireplace, granite counter tops and open floor plan with 9+ ft ceilings. Covered back deck to relax on after a hard day of golf. Additional unfinished onus area and full unfinished terrace level stubbed for bath, providing plenty of room for storage. Located in The Orchard Golf and Country Club Community 90 miles NE of Atlanta. CHATTAHOOCHEE RIVERFRONT BUNGALOW...SITTING RIGHT ON THE HOOCH MAKES IT EASY TO ENJOY THE EASY LIFE. LARGE TROUT AT YOUR BACK DOOR JUST ADS TO THE EXCITING UNIQUE CHARM THIS 3BR,3BA LOG HOME HAS TO OFFER. SOARING STACKED STONE FIREPLACE ACCENTS THE WARMTH OF THE WOOD INTERIOR. GRANITE COUNTER TOPS. NO DETAIL HAS BEEN LEFT UNDONE AND ALL YOU NEED TO BRING IS YOUR TOOTHBRUSH. HOME COMES MOSTLY FURNISHED. SMALL OUTBUILDING. GREAT COVERED DECK WITH STONE FENCING AROUND IT. YOU WILL NEVER BUILD THIS CLOSE TO THE RIVER AGAIN. One of the Orchard's premier lots fronting the 14th hole. This Traditional Ranch home offers 4BR, 4.5BA partially finished terrace level and great decking to relax on while enjoying the sounds of nature. Perched among the lovely landscaped grounds, this spacious and charming home will fulfill all your country club desires. WHEN CLEANLINESS MATTERS!! This immaculate Cape Cod is ready for company. Formal Dining, eat-in kitchen w/bar, master on main and 3BR's up. Hardwood floors, fireplace and finished room and bath on terrae level. Mature landscaping, rocking chair front porch and close to schools and shopping. This is the whole package! PICTURE PERFECT JEWELL on a corner lot in The Orchard Golf Community. 3BRs, 2.5BAs with finished bonus room makes it easy to invite your friends and family for a visit. Inviting fireplace with built-ins and granite counter tops in the breakfast area just add to the attraction this home has to offer. After a hard day of golf, you can enjoy the mountain wildlife strolling y your back deck, plenty of room for your "toys" in the partially unfinished terrace level. Neat as a pin, this immaculate home feels worlds apart, yet is only minutes away from town. Pristine setting at the end of a cul-de-sac provides unexpected privacy. Main level offers split bedroom plan with 4th bedroom and 3rd bath located on lower level with its own kitchenette. Oversized 2.5 car garage. Lovely, easy to care for landscape, concrete siding with steel frame construction, makes this home easy and worry free to live in. Exceptionally well maintained and loved 3BR/3.5BA traditional brick ranch home. Picture perfect kitchen overlooking lush pasture and mountain views. Room abounds in the eat-in kitchen with granite tops and double ovens. Separate dining, relaxing living room offering fireplace and beautiful cherry wood flooring thru out. Large Master suite you won't want to leave. Finished rooms in daylight terrace level. Enjoy the great outdoors with wildlife and nature coming together on this 7 acre estate. Worry Free Quality!! YOU WON'T BE DISAPPOINTED WHEN YOU ENTER THIS IMMACULATE 'FRANK BETZ' DESIGNED HOME! Split bedroom plan, dining area and eat-in kitchen with granite counters, cozy fireplace, hardwood floors, very gentle laying lot, 2 car garage and close to town. UNSURPASSED MOUNTAIN VIEWS! This immaculate 4BR/4BA Craftsman Style Home sits on 5 acres and backs up to National Forest. Literally like new, featuring 2 screen porches overlooking mountains, media room, master on main, gourmet kitchen with gas cooking, hardwood floors, stone fireplace, finished terrace level and community lake with sheltered picnic area. Located in coveted North Habersham County next to The Orchard Golf Community. Gorgeous!! Family wanted for this affordable and delightful brick home! 3.6 Acre wooded lot. Wood floors, solid surface counters, 2 Fireplace's & partially finished terrace level. Master on main, 2BRs up and finished rooms on terrace level. Large inviting 29x12 screen porch with 13x12 open deck. Close to town in very desirable neighborhood in the N. Habersham, Clarkesville area. A real charmer! The Orchard Golf & Country Club offers Impressive mountain views with easy living in this great Craftsman style home. Dramatic light with soaring windows that show off the views as soon as you walk in. Tranquil living with wildlife at your back door. 2BR, 2BA on the main floor with fireplaces in great room & library. 2 more rooms completed with 2 baths on terrace level with kitchen area and separate garage entrance for the needed in-law space. End of cul-de-sac privacy makes this a special home. This Orchard Community home is designed for easy living and filled with charm. Grand entrance w/picturesque glass windows bringing the outside in. Formal dining areas that seats 12+ with coffered ceilings. Tucked behind the appealing kitchen which boasts island, granite c-tops & room to gather. Enchanting sun room overlooking a man made rock waterfall w/pond. Large master suite w/ultimate bath on the main level. Down stairs has 2BR's, 2BA's, kitchen area, living RM & additional Room. Loft/office up and a 3 car garage round out this cul-de-sac masterpiece. DIFFERENT & DELIGHTFUL!! Rustic, Craftsman Style mountain home offering magnificent views of mountains and the great outdoors. By night the twinkling lights of the valley below will entice you, and by day, feast your eyes on Lake Laceola, the valley, air strip and surrounding mountains. 5BR, 4.2BA, 6 person hot tub, media room, 3 Fireplaces, billiard room and exercise room. A walk-in, floored crawl space makes the perfect work shop. A clubhouse, pool and 135 acre lake for the residents makes for a perfect setting. Outdoor enthusiasts will love this secluded & delightful environment, fire pit by waterfalls and trout stream. 3BR, 2BA, covered porch off great room & Master Bed Room. Huge walk-in shower. 10.7 acres of wildlife, woods & pasture complete this special package..
Soque River access & designated RV parking come with this pristine Frank Betz designed home. 4BR, 4.5BA w/finished rooms on terrace level. Stone & Hardi-plank construction a real plus. Beautiful kitchen w/granite counters and double oven, fireplace, master on main, screen porch and fenced back yard for pets or garden. Beautiful home in super area close to town & gated community. TRADITIONAL, SPACIOUS BRICK RANCH IN GATED RIVER COMMUNITY. iF RESTFUL SURROUNDINGS IS WHAT YOU DESIRE, THIS MAY BE THE PLACE FOR YOU. BEAUTIFUL LANDSCAPED YARD ENHANCES THE COMFORTABLE FEELING YOU RECEIVE THE MOMENT YOU REACH THE FRONT DOOR. WHEN YOU WALK INTO THE GREAT ROOM WITH SOARING CEILINGS AND GAS LOG FIREPLACE YOU WILL FEEL AT HOME. THE 4BR/2BA ON THE MAIN COMPLIMENT THE FINISHED TERRACE LEVEL WITH DEN, FULL BATH, OTHER FINISHED ROOMS AND PLUMBED FOR KITCHEN. ALSO, GREAT SCREEN PORCH OFF DOWNSTAIRS PATIO. The Orchard Golf Community! Golf and mountain view with this ranch with full finished terrace level. Master on main w/spa bah and 2 additional BR and BA. Open floor plan w/large great room, nice kitchen, fireplace and hardwood floors. Terrace level has 2 additional bedrooms, fireplace and large den. Lots of storage, screen porch w/outdoor TV, oversized deck w/retractable awning overlooking mountains and golf course. Fire pit for the cool evenings and family fun. Enjoy the community pool, tennis and club house with membership. 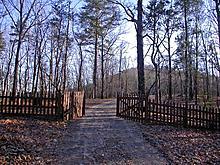 Come to the mountains and enjoy the slower pace lifestyle of this gated community. Owner is a licensed agent in GA.
FIRST CLASS HOME WITH QUALITY THROUGHOUT !!! THIS RARE FIND OFFERS 3/4 BEDROOMS, 3BA, 2 FIREPALCES, PLANTATION SHUTTERS AND 2 COVERD SCREENED PORCHES THAT ALL SERIOUSLY ADD TO THE APPEAL OF THIS PICTURE PERFECT HOME. ALSO ON THE LIST IS A FORMAL DINING, SPLIT BEDROOM PLAN WITH MASTER ON THE MAIN, AND WOOD FLOORS ON MAIN LEVEL. FINISHED TERRACE LEVEL INCLUDES DEN, FIREPLACE, OFFICE, BAR AND WORKSHOP. EXQUISITE GROUNDS AND 4 CAR GARAGE PARKING. SUPER FIND AT $205,000. Custom made LOG HOME like you have never seen, with logs 15" to 24" in diameter. The story book setting that you have dreamed about in the mountains is waiting here for you. Located on 5.4 acres, babbling brook and lots of room. This 3BR with loft has been carved with incredible care. With over 2000 feet of porches there is plenty of room to enjoy the great outdoors. Also includes a 24x20 wood shed, 32X52 work shop and a 34X18 shed with power, water and sewer hookup. Great pond site and only minutes to Lake Burton. VERY SPECIAL!! There is a lot to love in this charming mountain top estate. Feel the breeze as you sit on the front porch or enjoy the sunsets from the covered screen back deck overlooking stunning mountain views. Either way, the warm and wonderful feeling embraces you in this 5BR,4.5BA home. Spacious kitchen, master on main, formal Dining Room, Living Room and 2 Fireplaces. Plenty of room for a garden, full unfinished terrace level with boat door and unfinished bonus room over 2-car garage, all on this 6.6 acre Mountain top. Restful ranch style living with finished terrace level. This custom home boasts approx 2500 sq ft on the main floor offeriing 3BR, 2.5BA, Office, FRPL and large sunroom painted with sunshine. Terrace level includes den w/fireplace, game and media room plus 1BR, 1.5BA. Add 9" ceiling and a ready to sell price all make this package a winning combination in a gated golf community. The Orchard, an 18 hole golf course, is located 90 miles northeast of Atlanta in the foothills on the northeast georgia mountains. DON'T BOTHER LOOKING ANY FURTHER! INDULGE YOURSELF IN THIS 3BR/2.5BA RANCH HOME WITH TALL CEILINGS, FORMAL DINING ROOM, HEAVY CROWN MOLDING THROUGHOUT AND A GOURMET EAT-IN KITCHEN. FULL UNFINISHED BASEMENT FOR THE FUTURE. ALSO RELAX IN YOUR OWN IN-GROUND POOL JUST OUT THE BACK DOOR. SPLIT BEDROOM PLAN, HARDWOOD FLOORS AND FIREPLACE FINISH THIS INCREDIBLE PACKAGE. Story book setting in NE Georgia's premier gated golf coummunity. Your will love the luxury living this home has to offer. Situated on one of the finest lots in the development, this 5BR/4.5BA home is perfection. Perched at the end of the cul-de-sac, you front the lake and overlook the mountains and the golf course's signature holes. Brick exterior, 2 FPs, 2 master suites on the main floor are just the beginning. Finished terrace level complements this package. Reward yourself with this trophy home. RIVERFRONT!! SOQUE RIVER SHOWPLACE FILLED WITH MOUNTAIN CHARM ON 4.6 ACRES. THIS STORY BOOK SETTING WILL CONFIRM YOUR SEARCH HAS ENDED THE MINUTE YOU WALK IN. A SUN LIT FOYER, 3 INVITING FIREPLACES, 4BR/3.5BA, BEAUTIFUL HARDWOOD FLOORS, GOURMET KITCHEN, FULL UNFINISHED BASEMENT. HUGE ROOMS AND A SUNROOM OVERLOOKING THE MEADOW AND RIVER. AN INCREDIBLE DETACHED ART STUDIO/SHOP WITH POWER AND WATER ALONG WITH 4 CAR GARAGE COMPLETE THE PACKAGE. SUPERB HOME IN THE ORCHARD WITH INCREDIBLE YEAR ROUND MOUNTAIN VIEWS. 5BR, 4.5BA, BRICK HOME METICULOUSLY KEPT BY ONE OWNER. 2 FIREPLACES, SOARING CEILINGS, HARDWOOD FLOORS, GOURMET KITCHEN, 2 BEDROOMS ON MAIN, KEEPING ROOM, BREAKFAST ROOM, SUN ROOM, BAR AND FORMAL DINING. ALL THE UPDATED CONVENIENCES YOU WOULD EXPECT IN THIS IMMACULATE HOME. VIEWS FROM EVERY ROOM AND READY FOR IMMEDIATE OCCUPANCY. Like new with irresistible country, casual living. This Craftsman style 3BR, 3BA charmer has T&G ceilings, lots of light, 2 fireplaces and finished terrace level with den, fireplace and wet bar. Master on main. Relax on the 2 covered decks or take a short stroll to the communities' fabulous waterfalls, lakes and hiking trails. Don't forget the community pool and tennis courts. STATELY BRICK ESTATE IN THE ORCHARD GOLF COMMUNITY, backs up to The National Forest. Decorators showplace with warm and wonderful splendor throughout. It will be hard to stay inside this masterpiece with the stone patios, walkways, outdoor fireplaces and plenty of room for entertaining by moon light. 4BR/5BA, including oversized master bedroom on the main floor, office with fireplace, sun drenched living room with fireplace, bonus room, finished attic, gourmet kitchen with viking and sub-zero appliances.Three car garage. Handicap stair lift from garage to living area. Truly a showplace!! GROUND SALT WATER POOL W/WATERFALLS AND JACUZZI. TRULY VERY SPECIAL!! TUCKED AWAY IN HISTORIC BATESVILLE IS A DREAM COME TRUE !!! SITUATED ON 9.13 ACRES WITH BEAUTIFUL MOUNTAIN VIEWS IS THIS PRIVATE 3BR, 3BA MINI FARM WITH BASEMENT. TOUNGE AND GROOVE WALLS, ROCKING CHAIR FRONT PORCH OVERLOOKING PASTURE AND MOUNTAIN RANGE, 2 STALL HORSE BARN WITH TACK ROOM, OUTSIDE FIREPLACE AND GRILLING AREA. ALSO HAS SOME OUTBUILDINGS AND IS WIRED FOR A FULL HOUSE GENERATOR. TO ADD TO ALL OF THIS, IF YOU REALLY WANT TO LIVE OFF THE LAND AND BE SELF SUFFICIENT, CHECK OUT THE FIG, BLACKBERRY AND BLUEBERRY BUSHES!!! OWNERS CANNED OVER 100 QUARTS LAST YEAR ALONE. TAKE TIME TO ENJOY THE BEAUTY OF THE MOUNTAIN LAUREL, DOGWOOD, CHERRY AND BRADFORD PEAR TREES..TO NAME A FEW. VERY CONVENIENT TO LAKE BURTON AND ONLY APPROX 3 MILES TO LAPRADES MARINA. REDUCED !!! BUY NOW !!! OWNERS HAVE TRACTORS, FARM EQUIPMENT, TACT FOR HORSES AND BOATS THAT THEY MAY NEGOIATE WITH BUYERS. Year around mountain views in picturesque Sautee. 3BR/3BA mountain showplace tucked away in a cul-de-sac not far from Helen, GA. Relax on the oversized covered patio overlooking your own private view of wildlife, woods and mountains. Open great room w/stone fireplace, kitchen bar and dining area and upstairs loft. Entertain in the partially finished terrace level with den/rec room. Wrap around decking and out building/potting shed. Lots to offer on 3.14 acres. Where Luxury meets location! This incredible 4 sided brick masterpiece is certainly one of the Orchard Golf Community's finest. No detail has been overlooked. For starters, there are 4 bedrooms, 4 full and 3 half baths, gourmet kitchen, soaring ceilings, 3 car garage, 3 fireplaces, approx 900 ft of porches, and much more. Amazing views of the 16th green and mountains. The highest quality construction. LAKE BURTON!! CUTE AND COMFY WITH EASY ACCESS TO EATING AND GAS. THIS 4BR 3.5BA CABIN FEATURES WOOD BURNING FIREPLACE, 2 STORY, 2 STALL BOATHOUSE, MASTER ON MAIN, WOOD FLOORS AND GREAT LAKE VIEWS. NEAT AS A PIN AND READY TO MOVE RIGHT INTO. PRICED FOR QUICK SALE. NONE BETTER AT THIS PRICE! SOQUE RIVER MASTERPIECE! WHEN ONLY THE BEST WILL DO! 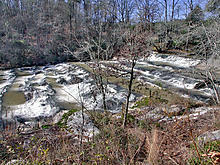 Absolutely the finest and most unique property on the entire, TROUT FILLED, Soque River. Home is truly incredible, featuring 5BR/3 full and 2 half baths, gourmet kitchen, master on main and a terrace level that rivals any fishing lodge in the country Did we mention for the real enthusiast that there is a room designated for fly-tying. A total of 21.12 riverfront acres with both sides of the river around the home. Very private gated community with few homes and stocked for almost 1 mile of fishing. UNMATCHED CRAFTSMAN STYLE MOUNTAIN HOME IN NE GEORGIA! Some of the features include 4/5BR, 4.5BA, travertine, hardwood and tile floors, gourmet kitchen, large master with incredible bath, 2-two car garages, exposed wood cathedral ceiling in great room, 3FPs, screen porch overlooks lake, partially finished terrace level, on 3.5 acres and the list goes on! WOW !!!! IF YOU WANT PRIVACY THIS IS IT...DID I MENTION STAGGERING MOUNTAIN VIEWS? LOG AND HARDI-PLANK HOME ON 79+/- ACRES. 5BR, 4BA WITH LOFT, OFFICE AND FINISHED TERRACE LEVEL. OPEN LIVING AREA WITH KITCHEN OFFERING SOLID SURFACE COUNTER TOPS, EAT IN BREAKFAST BAR, AND STAINLESS STEEL APPLIANCES INCLUDING DOUBLE OVENS WHICH STAY WITH HOME. MASTER BEDROOM ON THE MAIN FLOOR OPENING TO 10x20 DECK TO APPRECIATE THE MOUNTAIN AIR AND VIEWS. 30x50 SHOP BUILT OUT OF LOGS CUT AT THE HOME SITE WITH METAL ROOF. KABOTA TRACTOR INCLUDED. SELLER STATES THAT THIS ISTHE 5TH HIGHEST SPOT IN CLEVELAND, GA.
Lake Yonah, Georiga's hidden treasure, is pristine, quiet and private with 9 miles of shoreline and 325 acres of surface. There are 72 homes on Lake Yonah with over half of them having access only by boat. This home is accessible by road and feels like you live on your own private lake! Nestled on the quaint Georgia lake, this 3 bedroom, 3 full bath and two half bath home offers the perfect quiet getaway for anyone looking for a peaceful retreat from the hustle and bustle of city living. A charming foyer welcomes you into the spacious greatroom with vaulted ceiling accented with beamed pine tongue and groove boarding, a stone Isokern fireplace and Brazilian cherry flooring. The gourmet kitchen is perfect for entertaining with its breakfast bar, prep island, 4 burner gas range with grill, griddle and double ovens. A large dining area overlooks the lake. For easy relaxing a rocking chair covered porch and dining deck take advantage of the outdoor ambiance. The main floor has a guest room with full bath and a half bath off the foyer. Upstairs is a cozy oversized bedroom with a sitting area and private covered balcony overlooking the garden area. The chinked siding and pine ceiling along with the charming full bath makes this bedroom a private respite for friends and family. The terrace level features a master suite, a family room with stone fireplace and wet bar, half bath, workout room and laundry area.The master bedroom is accompanied by a full bath and large walk-in closet. Walk out to the heart of the home, a charming terrace with Isokern stone firplace overlooking the lake. A pathway leads down to the one stall boathouse and up to the garden area with a quaint outbuilding that can be used for a tool shed or playhouse. LAKEFRONT AND MOUNTAIN VIEWS COME HAND AND HAND AT THE ORCHARD GOLF COURSE, AN 18 HOLE GATED GOLF COMMUNITY. LARGE MASTER ON THE MAIN FLOOR WITH VERY ROOMY MASTER BATH. 2 OTHER BEDROOMS ON MAIN WITH JACK AND JILL BATH. ENJOY THE KEEPING ROOM OFF THE SPACIOUS KITCHEN, BREAKFAST AREA COMPLETE WITH FIREPLACE. SOUTHERN LIVING, 4 SIDED BRICK "CRABAPPLE COTTAGE" PLAN WITH SCENIC MOUNTAIN VIEWS. STONE WALLS AND DECORATIVE COLUMNS ACCENTUATE THE BEAUTY OF THIS 10 ACRE ESTATE COMPLETE WITH RV PARKING AND BARN. THE HOME BOASTS 5 BR, 4 FULL BATHS AND 2 HALF BATHS, GREAT ROOM WITH POST AND BEAM ACCENTS, 2 FIREPLACES, HARDWOOD FLOORS, FORMAL DINING, BEAUTIFUL KITCHEN WITH GRANITE COUNTERS, SUNNY BREAKFAST AREA, FINISHED TERRACE LEVEL COMPLETE WITH ADDITIONAL KITCHEN AND ANOTHER MASTER SUITE. INCREDIBLE LANDSCAPING..
Charming traditional home nestsled on a beautiful wooded lot in The Orchard Golf and Country Club. The open floor plan features vaulted ceilings in the great room and kitchen, custom built-ins and master bedroom on the main floor. Bright interior with exceptional lighting,. The updated kitchen includes all new stainless steel applinaces, stirking solid granite surfaces, and hardwood floors. Also included on the main is a spacious screen porch leading to a larger deck. Finished terrace level features another full kitchen and 5 finished additional rooms and full bath with endless possibilites, including another covered deck and flagstone pathways. Mature landscaping with great curb appeal. ENJOY THE GOOD LIFE! YEAR ROUND MOUNTAIN AND LAKE VIEWS! Gentle access to small lake, green house and workshop, 3/4 BR, 3BA, great room with vaulted ceiling, rock fireplace, custom gourmet kitchen with granite counters, stainless steel appliances, partially finished basement. 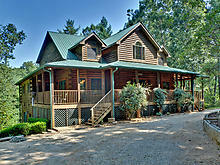 BEAUTIFUL LOG HOME ON 9.34 SECLUDED WOODED ACRES. OPEN FLOOR PLAN ENJOYING THE EASE OF LIVING ROOM AND KITCHEN WITHOUT HAVING TO LEAVE FRIENDS AND FAMILY. 3 BEDROOM, 2.5 BATHS, OFFICE/4TH BEDROOM? AND FULL UNFINISHED BASEMENT STUDDED IN AND EASY TO FINISH OFF. SEPARATE DINING ROOM, WOOD FLOORS, WOOD BURNING/GAS FIREPLACE, MASTER ON MAIN AND LOFT AREA. WRAP AROUND DECKING FOR YOUR OUTDOOR PLEASURE. SPRING ON THE BACK SIDE OF PROPERTY. ABUNDANT WILDLIFE. BUYERS WANTED!!! STUNNING SETTING WITH YEAR AROUND LAKE VIEWS IN THE ORCHARD GOLF COMMUNITY. THIS WILLIAM POOLE, SOUTHERN LIVING HOME MASTERPIECE, FEATURES 4BR, 3.5BA, BONUS ROOM/OFFICE, ALL BRICK CONSTRUCTION, 4 CAR GARAGE, ENORMOUS MASTER ON THE MAIN FLOOR, 2 FIREPLACES, GOURMET KITCHEN, PROFESSIONALLY LANDSCAPED AND DECORATED AND OWNER WILL CONSIDER SELLING MOSTLY FURNISHED. NONE BETTER!! 34 Mountain-top acres with views, wildlife, hiking and riding trails, small pasture, large barn and heated and cooled workshop. You really CAN escape to this tranquil, private setting, offering 3BR and large office on main with screened back porch, providing a place to breathe while enjoying nature at its best. Terrace level opens to spacious gathering room with additional finished rooms and full bath. Additional 94 acres with mountain lake available. IF YOU DESIRE PRIVACY AND NOISY WATERFALLS, THIS IS IT!! AN EXCEPTIONAL, PRISTINE WOODED 10 ACRE PROPERTY HIDDEN OFF AN OLD FARM ROAD WHERE YOU CAN FORGET YOUR TROUBLES AND LISTEN TO THE SOUNDS OF RUSHING WATER AND THE WILDLIFE. OWNER WILL CONSIDER FINANCING WITH 20% DOWN. NOTHING BETTER!!!! BEAUTIFUL TRADITIONAL HOME WITH ALL THE SPLENDOR AND EXTRAS YOU WOULD EXPECT. 4BR/2.5BA, LARGE SUITE ON MAIN FLOOR WITH 2 LARGE WALK-IN CLOSETS, HARDWOOD FLOORS THROUGHOUT, FORMAL DINING ROOM, OVERSIZED FAMILY ROOM AND DEN/OFFICE AREA. LOCATED IN A VERY CONVENIENT AND BEAUTIFUL AREA CLOSE TO EVERYTHING IMPORTANT. IMMACULATE!! POSSIBLY THE ORCHARD'S MOST DESIRABLE LOT FRONTING BLUE RIDGE LAKE, THE 16th FAIRWAY AND THE 15th TEE. 4 SIDED TRADITIONAL BRICK RANCH FEATURING 5BR, 3.5BA, 3 BEDROOMS ON MAIN, FORMAL DINING AREA, SCREEN PORCH, GOURMET KITCHEN, BREAKFAST AREA, FIREPLACE WITH BUILT-INS, TERRACE LEVEL W/GOLF CART DOOR, MTN AND LAKE VIEWS, AND FIRST CLASS ALL THE WAY!!! THE ORCHARD GOLF COMMUNITY!! SPECTACULAR MODIFIED STEPHEN FULLER HOME PLAN. 6BR, 5 FULL, 2 PARTIAL BATHS, STONE/HARDI-PLANK CONSTRUCTION, FORMAL DR, SCREEN AREA OFF KITCHEN, GRANITE COUNTER TOPS THROUGHOUT, HARDWOOD FLOORS, FIREPLACE WITH MAHOGANY/BLACK WALNUT MANTLE, AND HIGH QUALITY WORKMANSHIP. THIS IS A DREAM HOME IN THIS BEAUTIFUL GOLF COURSE COMMUNITY. The Orchard. An 18 hole Dan Maples championship gated golf community. Located 90 miles NE of Atlanta in the foothills of the NE GA Mountains. Fee for amenities include golf, dining, tennis and pool. Beautiful and Stately home fronting the 15th green and overlooking lake. Immaculate 5BR,4.5BA home boasts hardwood floors, 2 fireplaces, formal dining, large eat in kitchen, screen porch and extra large lot with back deck overlooking view. Room for the whole family. May consider selling furnished for additional costs. A true traditional classic with large white pillars as you would expect from this southern home. HARD TO LEAVE ONCE YOU STEP INSIDE THIS GORGEOUS JACK ARNOLD FRENCH COUNTRY DESIGN MASTERPIECE. IT MAY BE THE AWSOME TIMBER FRAME THAT CATCHES YOUR EYE, OR MAYBE THE COZY BAR NOOK THAT IS ADJACENT TO THE FIREPLACE, OR IT COULD ALWAYS BE THE ONE OF A KIND KITCHEN. KITCHEN OFFERS ITS OWN FIREPLACE AND EAT IN AREA, GRANITE COUNTER TOPS, BUTLER'S PANTRY/SILVER CLOSET STRATIGICALLY LOCATED BETWEEN FORMAL DINING AND BREAKFAST AREA. RELAX OUT ON THE SMOKING PORCH OR HAVE THE FRIENDS OVER FOR SNACKS ON THE SCREEN PORCH OFF THE LIVING RM, MASTER AND DINING. ALSO OFFERING STONE WALK WAYS. YOU JUST CANNOT GET ENOUGH OF THE AMMENITIES IN THIS LOVELY HOME. DRASTICALLY REDUCED FROM $519,900 TO $299,900 !!! YOU CANNOT BEAT THIS PRICE ON THE RIVER...SOQUE RIVER FRONT HOME. IT WILL BE HARD TO FIND ANOTHER RIVER FRONT HOME OFF THE BEATEN PATH LIKE THIS..YOU CAN SEE THE RIVER THE MINUTE YOU PULL UP AND CAN SEE IT FROM VIRTUALLY EVERY ROOM. TERRIFIC SCREEN PORCH OVER LOOKING RIVER AND BACK DECK FOR YOUR COOKING PLEASURE. GREAT WALKING PATH TO RIVER. IMMACULATE CONDITION. MAKE IT YOURS NOW !! !